If there were only one butter allowed in heaven…this would it! How could I have not discovered this stuff sooner? I love coconut, I cook and bake with coconut oil (and use if for a moisturizer sometimes), I love coconut milk, I drink coconut water and use it in my smoothies…BUT where has this coconut butter been all of my life? I guess since I’m a real butter loving kind of girl, I have never sought out a substitute for it. I’m sure all of you raw, vegan, Paleo, and non-dairy eating peeps out there already know about this stuff. Anyway…I’m glad I know about it now because it seriously is a heavenly treat and an unbelievably Juicy Bite! I discovered it when I bought a smoothie from a local juice bar and it was one of the ingredients in the smoothie. I was puzzled by what “coconut butter” was and did a little research on line since I was determined to duplicate the smoothie at home. Turns out it is just dried, unsweetened coconut pureed to the point that it turns into creamy, buttery goodness. It is processed in a blender (like a Vitamix) or a food processor until the fat from the coconut is extracted and it becomes smooth. I found simple directions to make it on a blog called Color Wheel Meals. 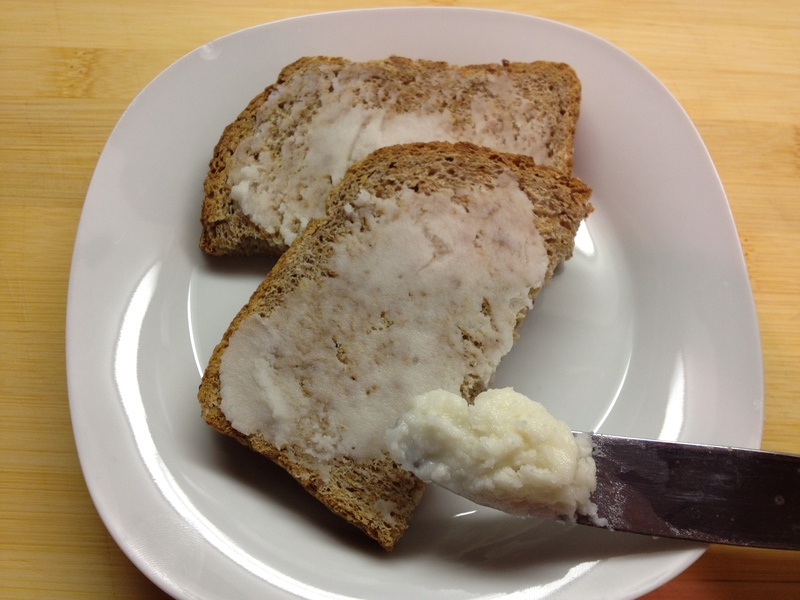 Samantha, a fellow WordPress blogger, gives step by step instructions for coconut butter and a delicious recipe to use it in here. You can use it baked goods, smoothies (like the one below), or simply spread it on your toast like my 8 year old loves to do. Not knowing how simple coconut butter is to make, I bought mine from my local Whole Foods Market. You can also buy it here on Amazon. I will definately make my own batch once I get through my first jar…which probably won’t be long. Now…for the smoothie! 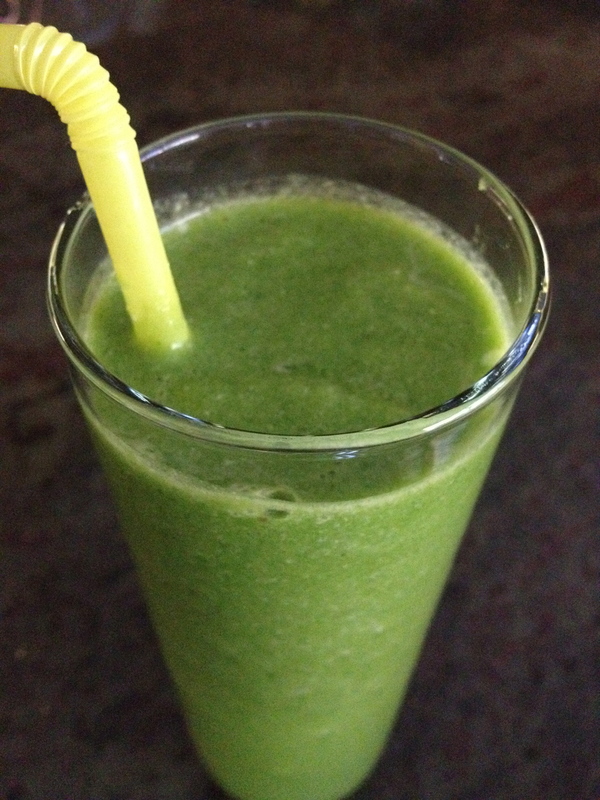 I’s a green smoothie, but it’s lighter than my Kale Cashew Shake. 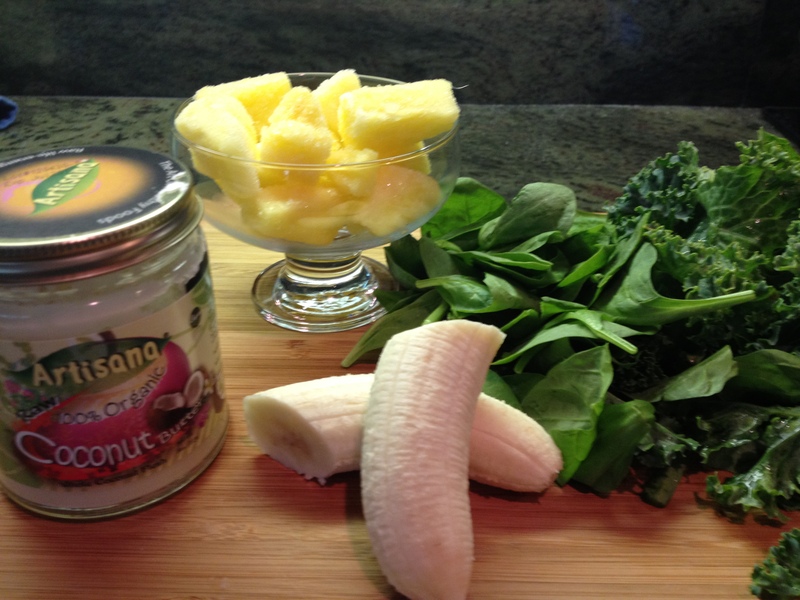 The coconut butter adds delicious coconut flavor and just a little creaminess to the smoothie. I have added spoonfuls of coconut to my smoothies before, but it’s not the same as the coconut butter. 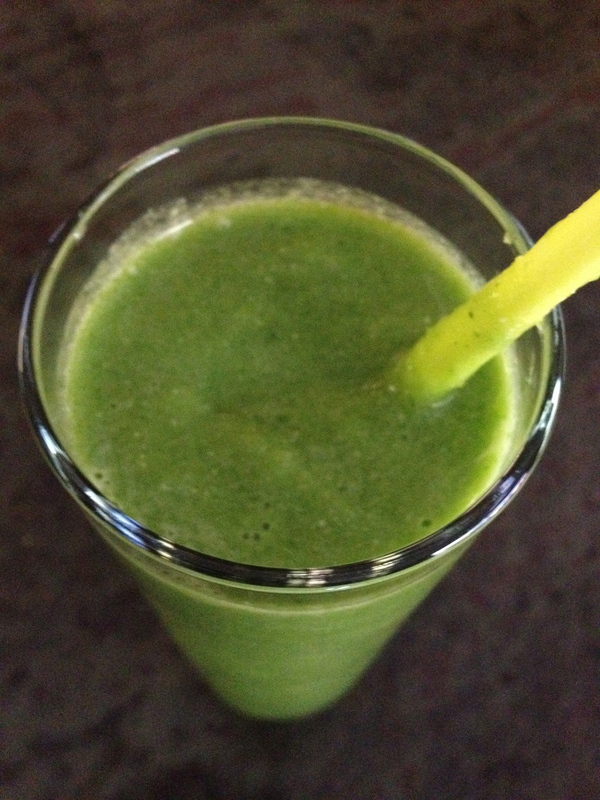 You can adjust the “green-ness” of your smoothie by adding more or less of the kale and spinach. I love the greens, so I add a bunch. For my boys I go a little easier on the greens so their version tastes like a green piña colada. They love it! your site looks great!!! Thanks for the shoutout!!! This is awesome! I, as well as you, enjoy coconut milk, water, in my shampoo, in my lotion, but have never heard of coconut butter. Will definitely stop by whole foods and pick some of this up!! Thanks for the tip! Yes…it’s definitely coconut on a whole new level! You are a creative cook…I’m sure you will find something fabulous to whip up with it! I love your blog…fun & delicious food and great pictures. You made me want to have a fun foodie photo shoot in my kitchen!